The State Historical Society of North Dakota publications program includes the quarterly journal, North Dakota History: Journal of the Northern Plains, and two newsletters, Plains Talk and North Dakota Studies. On occasion, the agency also publishes books. 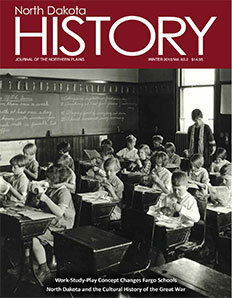 Readers can share in the history and culture of the state and northern plains through the Society’s quarterly historical publication, North Dakota History: Journal of the Northern Plains, which features articles by historians and writers. Begun as the North Dakota Historical Quarterly, the journal has published the scholarship and writings of hundreds of authors since 1926. Members of the State Historical Society of North Dakota Foundation receive North Dakota History and Plains Talk as a benefit of membership. Journals are also available from the Museum Store. The Society produces newsletters for its many constituents. Plains Talk is a quarterly newsletter sent to all the members of the State Historical Society of North Dakota Foundation, describing the work of the Society, sharing information about people, places and programs. North Dakota Studies is distributed semi-annually to students, teachers, schools, and libraries throughout the state. An e-newsletter, available to all through signing up on our website, is distributed every month. The State Historical Society of North Dakota only publishes our own agency’s books. Recent publications of the Society include A Traveler’s Companion to North Dakota State Historic Sites, Third Edition (2015), and Lt. G.K. Warren’s 1885-86 Manuscripts of the Missouri River (2012).